This is my first time joining the Weekend Writing Warriors and Snippet Sunday crews! Although I could start off with the first book in my (space pirate) Aston West series, I figured I would be a bit different and go with a snippet from the second novel, Friends in Deed. Enjoy! In the depth of my nightmares, Lycus IV would always be a formidable hell, no matter if the scenery gave off the illusion of mighty grandeur. Lush green trees lined the banks. Sporadic cloud cover offered broken views of a distant pale blue mountain range. This prison planet’s terror was not found in its natural surroundings, but from its unwilling inhabitants. A wide river flowed slowly before me over a bed of rocks. Filthy clothing, ripped and shredded, barely covered my bruised and bloody skin. I gazed across the clear, inviting water. A bellow filled the air. I turned as a pale, naked giant rumbled through the brush, yelling at the top of his lungs. What? This isn't how all of your nightmares go? Hope you enjoyed the snippet, and if you want to catch the rest of the book, it's available over on Amazon along with all of my other titles. 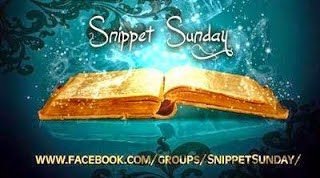 Please check out the other Snippet Sunday folks and the Weekend Writing Warriors as well!